Almost infinite POWAAAH! Best of all it's free. 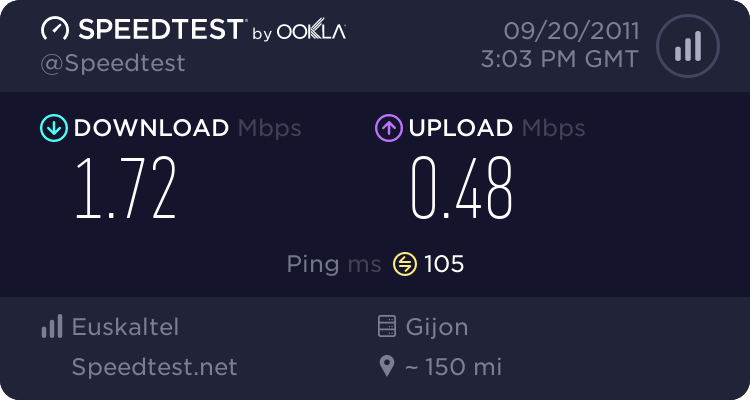 This was not the best result I could get, not the best connection right now. Ever noticed like certain client and server variables like sv_maxrate and rate 25000? 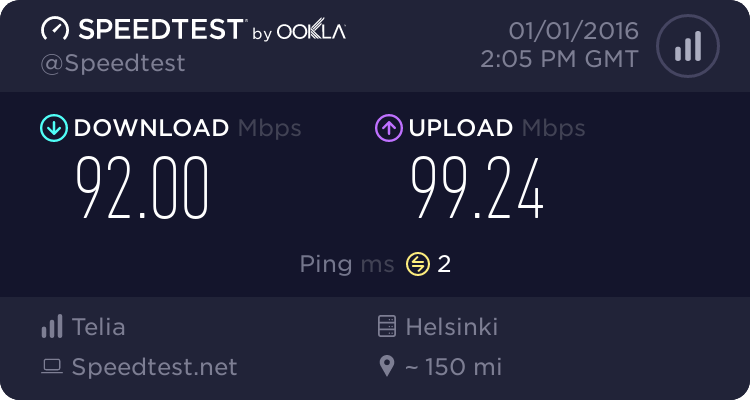 Well there is a reason why servers have max and min rate settings. In case you don't know or not done the math, rate 25000 = 25000 kbps (kilobits per second) But if the server is set at sv_minrate 10000 then the server is dependant on clients who have a Broadband with a speed of 10Mbps from rate 10000 = 10Mbps. This is why we made this topic to monitor your gameplay, hitreg and spikes when playing our server with those adjustments. 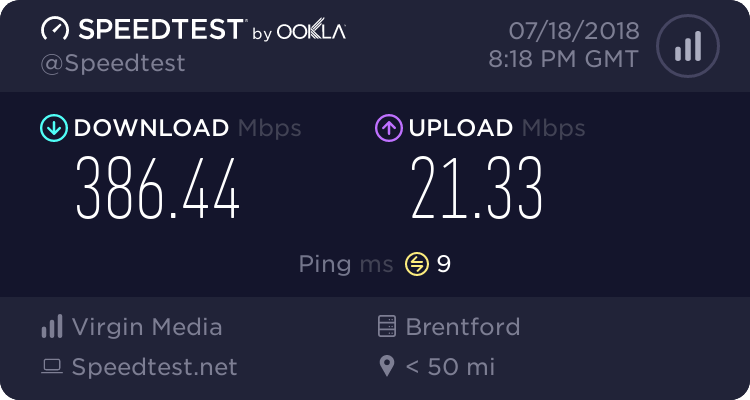 The problem is with newer games and non-dedicated servers that require full optimisation for Ultra HD GFX and dependant on clients with a 100Mbps Speed Broadband or better, but recommended on a Wired Internet and decent FPS rate as Wireless Internet can be inefficient as the data transferring from the router hub to the laptop or PC takes time and for the data to travel across the room. Hence why we still use Wired Ethernet cables to avoid any interference and lags. We respect poor players who don't have a high speed broadband by allowing slower internet connections like 10Mbps ADSL ISPs; as not all areas have a coverage tariff for Fibre/Cable broadband which are powerful and efficient than ADSL. Therefore the File Transfer Time required for multiplayer games like BF1, CoD:IW, Overwatch and For Honor is much greater than for some game engines like Unreal Engine 3, RareWare, Source, Quake 3 Engine and GoldSrc as they don't use as much File Transfer Data than the latest engines.